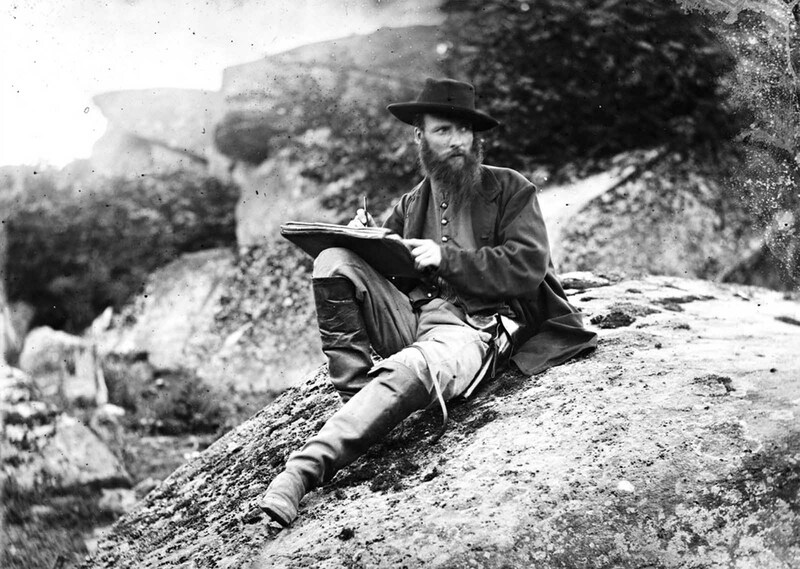 Photographer Timothy H. O’Sullivan took this photo, one half of a stereo view of Alfred R. Waud, artist of Harper’s Weekly, while he sketched on the battlefield near Gettysburg, Pennsylvania in July of 1863. The American Civil War lasted for just four years, from 1861 to 1865 and it is often also known as the War Between the States. It was the event where 11 Southern States that supported slavery declared their succession from the United States, and announced the Formation of the Confederate States of America. The results of the Civil War was the decisive defeat of the Confederate States of America, and their eventual resumption of their status in the United States. The time period directly after the Civil War was known as the Reconstruction, a time marked by turmoil, violence and a lot of conflict and controversy. The Reconstruction Era was not a peaceful time, there were a large number of people that tried to take advantage of the weakened South. The biggest result was the end to Slavery. The 13th Amendment called for the abolishment of slavery, and it was in support of President Lincoln’s Emancipation proclamation. In addition, the 14th and 15th Amendments to the Constitution were also passed by Congress and ratified by states, becoming law. The 13th Amendment effectively made law the ending of slavery across the United States. The 14th Amendment was enacted that said that Federal Legal Protection is available to all United States citizens, regardless of what race, color or creed they are. This was a new policy and came as part of the aftermath and results of the Civil War. Finally, the last Amendment to the Constitution that was a result of the Civil War was the 15th Amendment. The 15th Amendment abolished all restrictions on voting and said that all U.S. Citizens would be able to vote no matter what race they were. Despite the ending of the Civil War 1865, it took another 12 years for most states to successfully make the transition back into the United States. 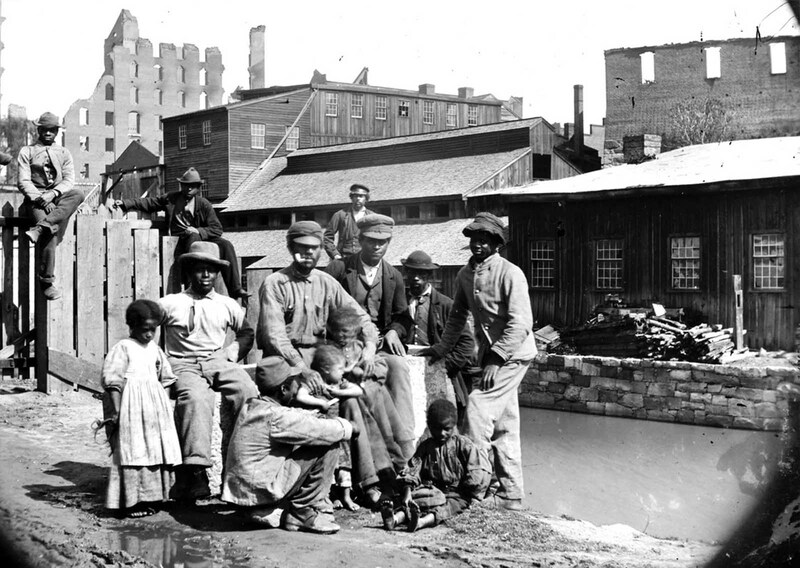 Reconstruction began during the war, with the Emancipation Proclamation of January 1, 1863, and it continued until 1877. It comprised multiple complex methods to resolve the outstanding issues of the war’s aftermath, the most important of which were the three “Reconstruction Amendments” to the Constitution, which remain in effect to the present time: the 13th (1865), the 14th (1868) and the 15th (1870). From the Union perspective, the goals of Reconstruction were to consolidate the Union victory on the battlefield by reuniting the Union; to guarantee a “republican form of government for the ex-Confederate states; and to permanently end slavery—and prevent semi-slavery status. The Reconstruction was ended finally by the Compromise of 1877, when Federal Troops were removed from the South and Rutherford B. Hayes was elected as U.S. President. 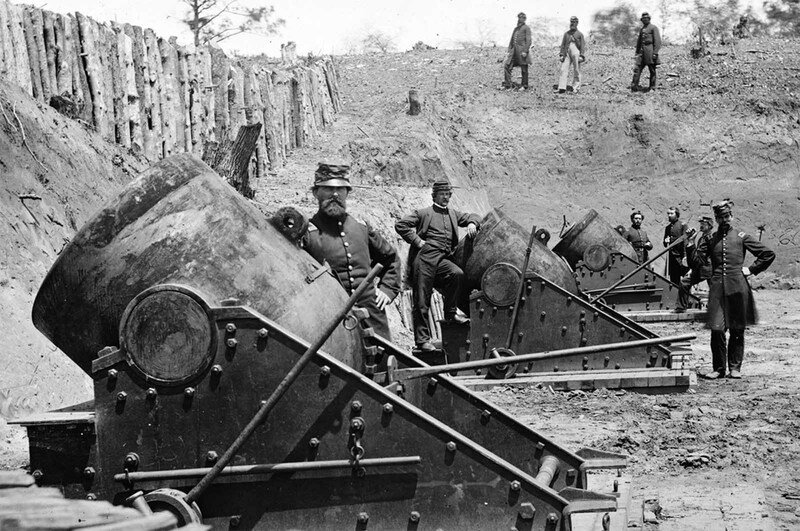 13-inch seacoast mortars of Federal Battery No. 4 with officers of 1st Connecticut Heavy Artillery, near Yorktown, Virginia in May of 1862. 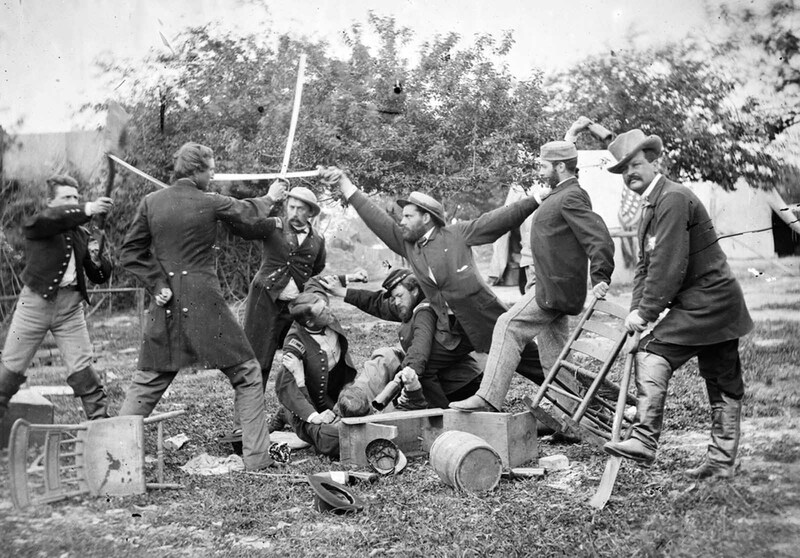 “A muss at headquarters,” Army of the Potomac, near Falmouth, Virginia in April of 1863. 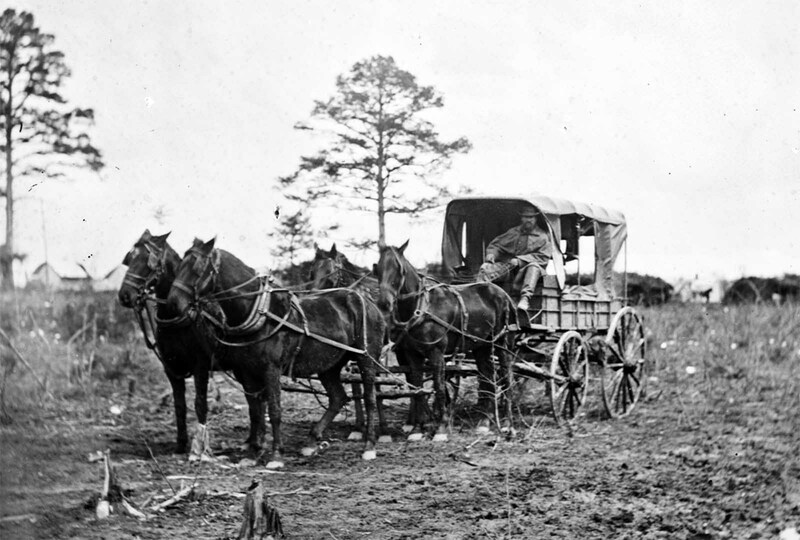 Mail wagon for headquarters, Army of the Potomac, at Falmouth, Virginia, March 1863. 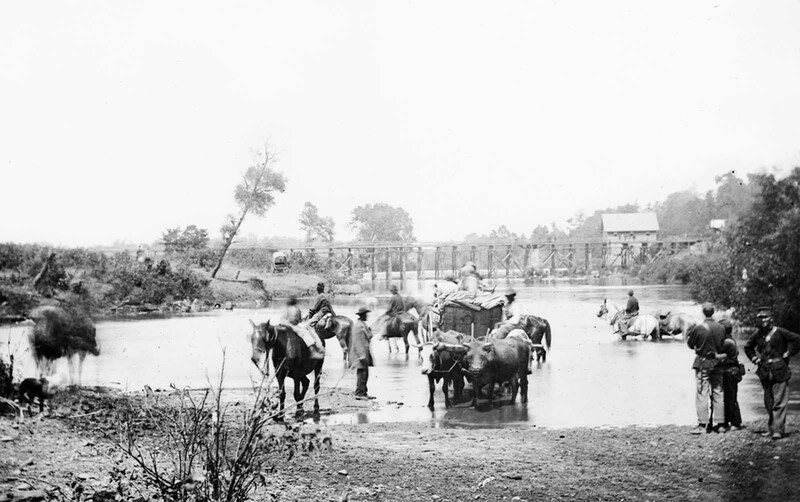 Fugitive African Americans fording the Rappahannock River, Virginia during Pope’s retreat in August of 1862. 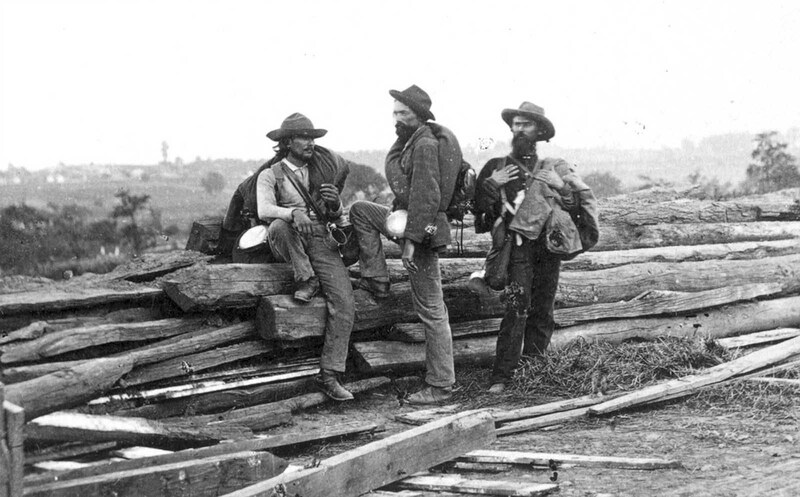 Three “Johnnie Reb” Prisoners, captured at Gettysburg, in 1863. “Council of War”. 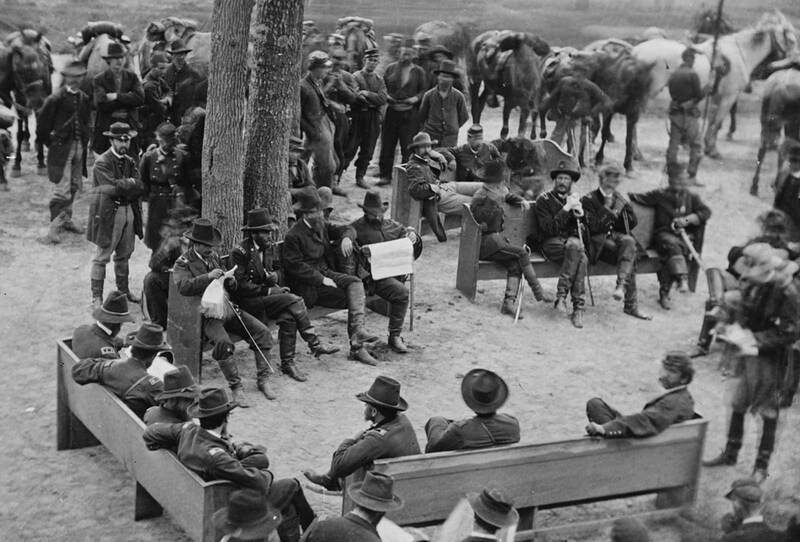 General Ulysses S. Grant (2nd from left on bench at center left), Gen. George G. Meade, Assistant Secretary of War Charles A. Dana, and numerous staff officers meet at Massaponax Church, in Virginia on May 21, 1864. 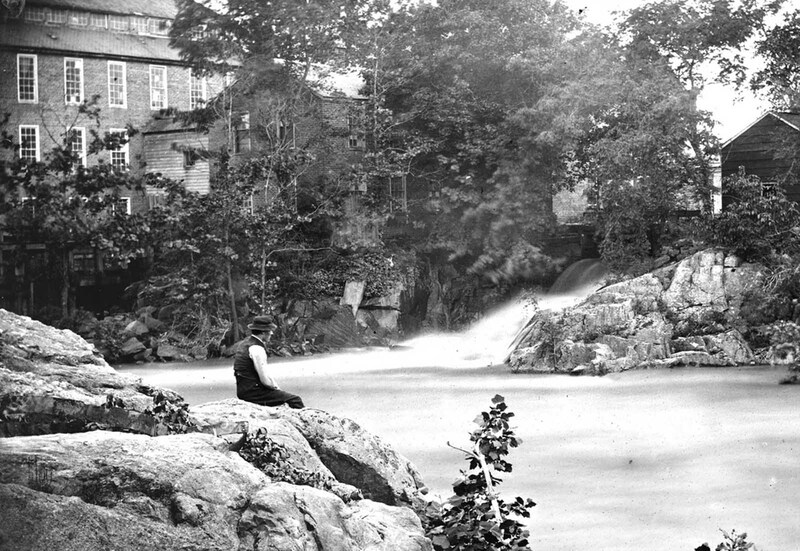 A Confederate Mill in Petersburg, Virginia in May of 1865. 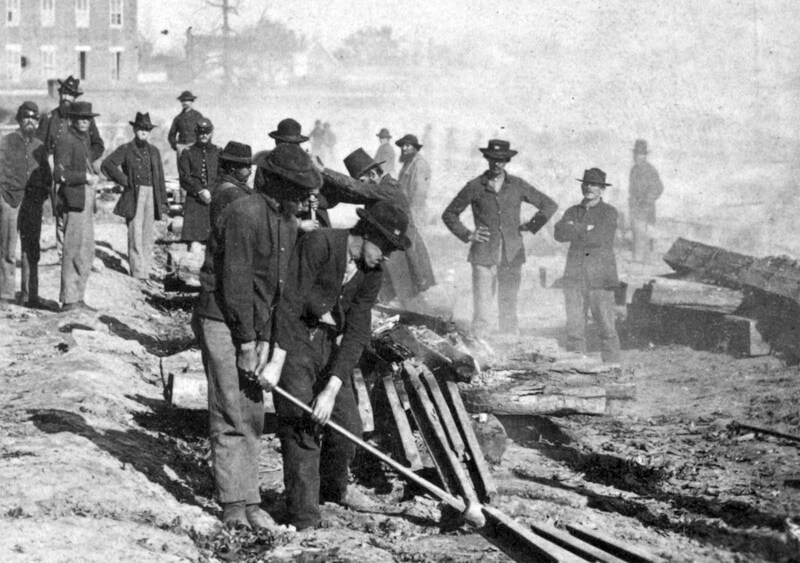 General Sherman’s men destroying the railroad before the evacuation of Atlanta, Georgia in 1864. 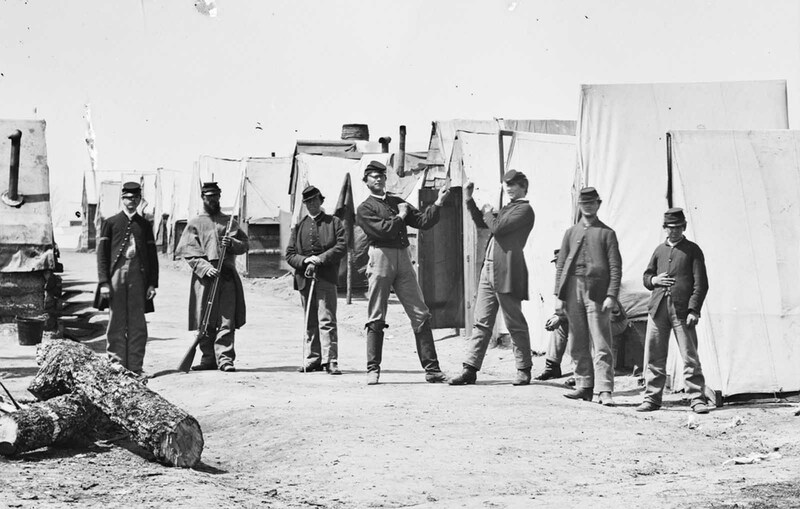 Soldiers boxing in a Union camp in Petersburg, Virginia, in April of 1865. 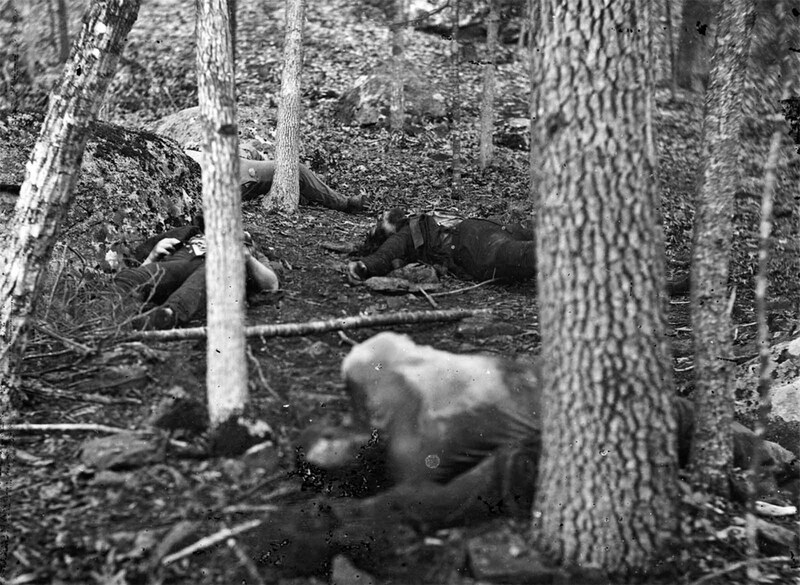 The “Slaughter pen” at foot of Round Top, after the Battle of Gettysburg, in Pennsylvania in July of 1863. 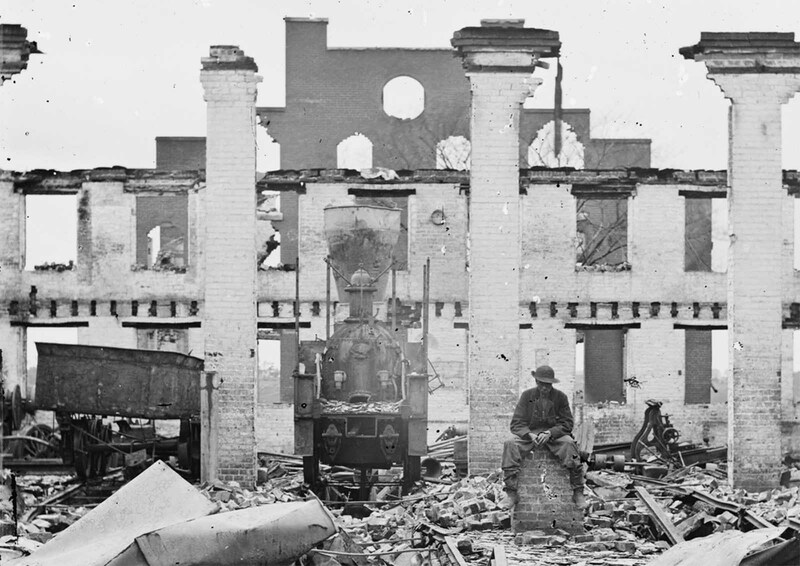 A damaged locomotive among the ruins of the Richmond & Petersburg Railroad depot, in Richmond, Virginia, in April of 1865. A group of Contrabands at Haxall’s Mill, Richmond, Virginia, on June 9, 1865. 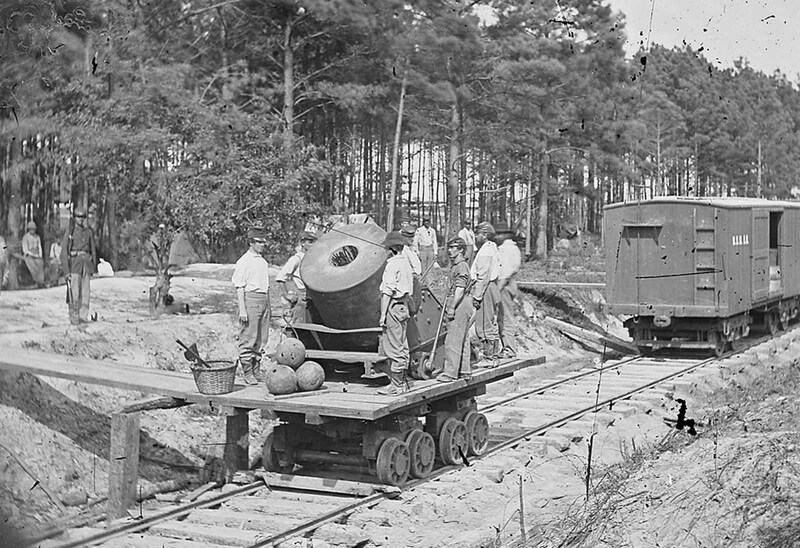 A mortar mounted on a railrioad car, near Petersburg, Virginia. 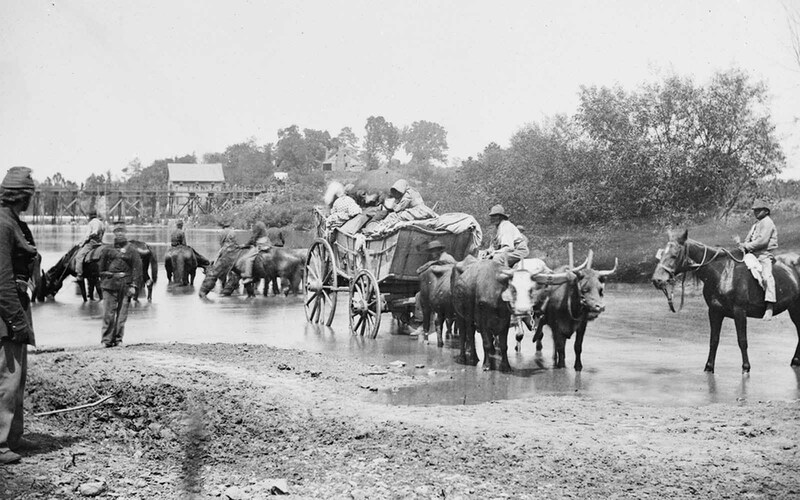 Fugitive African Americans are fording the Rappahannock River in Virginia, August 1862, during the Second Battle of Bull Run. 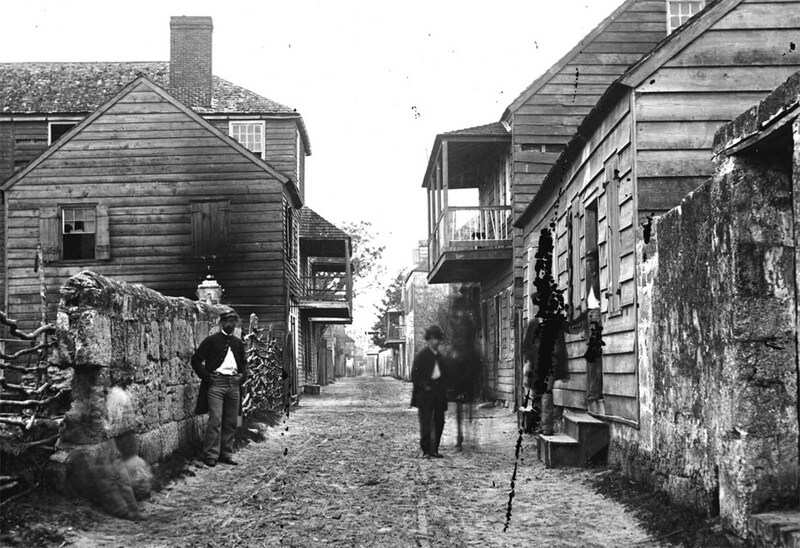 A street view of St. Augustine, Florida. 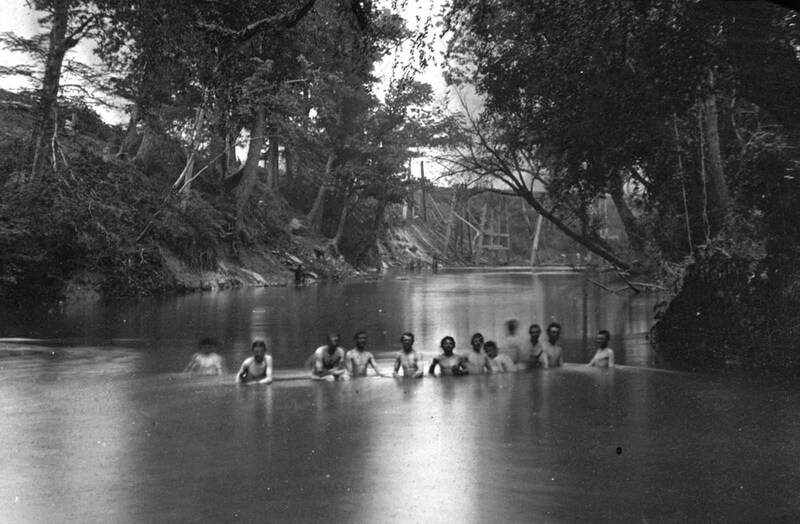 Soldiers bathing in the North Anna River, Virginia, in May of 1864. The ruins of Richmond & Fredericksburg railroad bridge are visible in the distance. 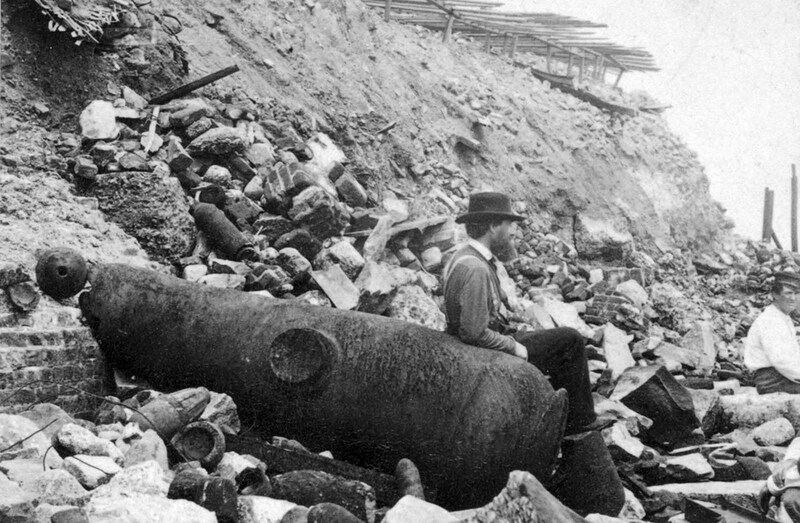 Outside view of Fort Sumter, in March, 1865. Foot of slope on southwestern front, looking southeast. 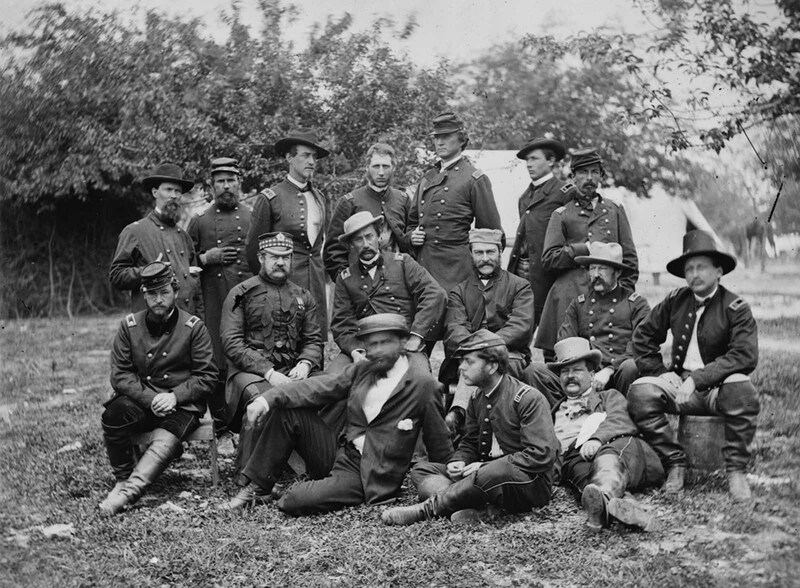 Lord (William) Abinger and a group of officers at headquarters, Army of the Potomac, near Falmouth, Virginia, in April of 1863. 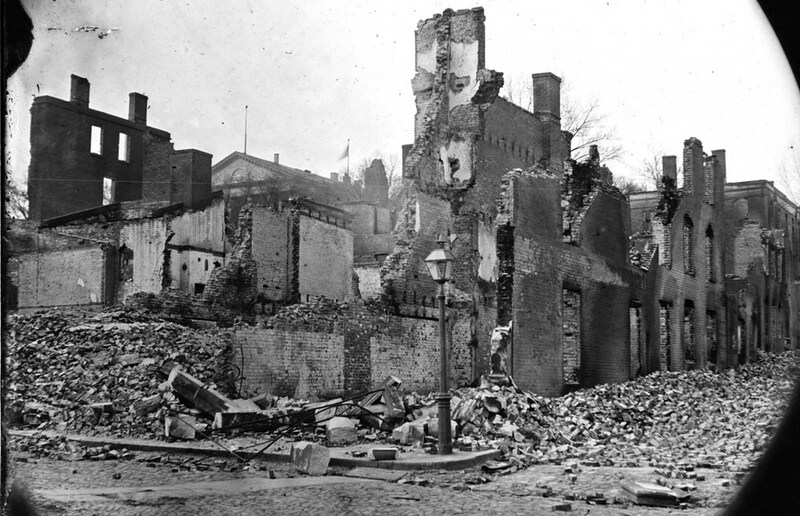 Details from the “Burnt district” of Richmond, Virginia, photographed in April of 1865. (Photo credit: Library of Congress).